This one has it allâ¦character, charm, open, and inviting. 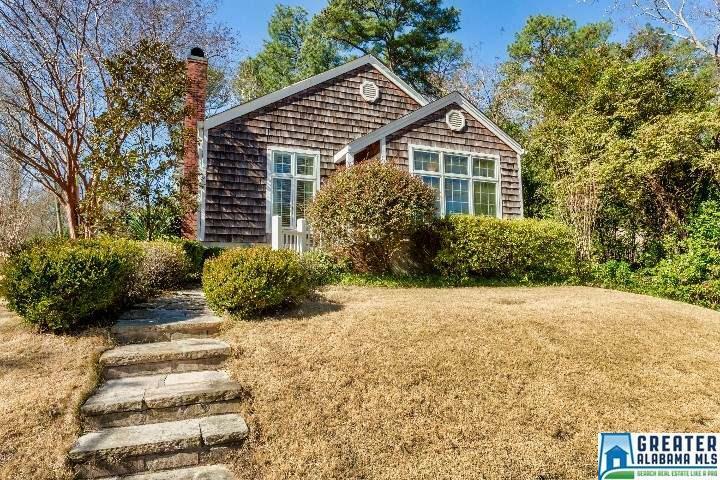 This lovely Edgewood Cottage is nestled on 1.5 lots on beautiful, tree-lined, quiet street. A beautiful sunroom greets you as you enter, perfect for reading, relaxing or enjoying the view! This room flows into the large Living Room with wood-burning fireplace and spacious Dining Room. Kitchen includes a custom pantry/laundry area, stainless appliances, and three French doors leading to a covered stone terrace and tiered backyard. Master Bedroom has spacious closet space w/ built-in shoe shelving. The second bedroom is spacious as well. The shared hall bath is updated and features a tub/shower combo. Large, fenced yard for the dog and a detached garage for the car ... within walking distance to Edgewood and schools. You will want this home on your "must see" list! Driving Directions: Oxmoor Road Through Edgewood Shopping Area, Continue West To Edgewood Avenue On Right. Home Will Be On Your Left.